In 1839 French Catholic Bishop Jean Baptiste François Pompallier established a mission at Kororāreka, where a two-storied building, housing a printery, tannery and storehouse, was constructed. When priests of the mission moved on, the building was used as a tannery and, from the 1870s, as a grand private home. 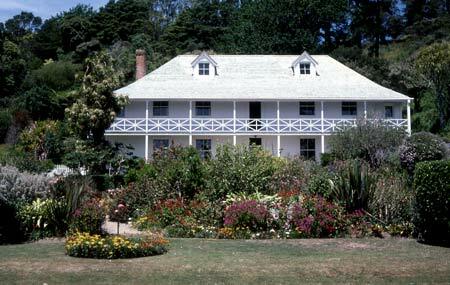 Bought by the government as a historic place in 1943, Pompallier House was for many years presented as a stately residence, with gracious verandahs and gardens.